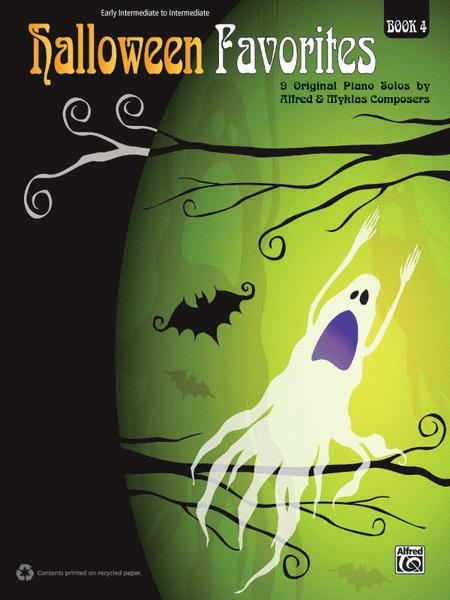 Throughout the years, Alfred Music Publishing and Myklas Music Press have published solos for the Halloween season that have become favorites of both students and teachers. 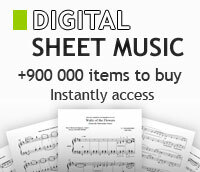 The pieces included in this series represent the most popular and effective solos drawn from the catalogues of both companies. Divided into four graded collections, outstanding works are included by Sharon Aaronson, Dennis Alexander, Christine H. Barden, Melody Bober, Anne Shannon Demarest, W. T. Skye Garcia, Mary Hauber, Bernadine Johnson, David Karp, Martha Mier, June Montgomery, Joyce Schatz Pease, Ruth Perdew, John Robert Poe, Catherine Rollin, Mary K. Sallee, George Peter Tingley, Robert D. Vandall, and Kim Williams. Book 4 includes pieces appropriate for early intermediate to intermediate students. Challenges include reading syncopated rhythms and triplets, performing extended eighth note passages, playing triads and inversions, and developing independence between the hands. Titles: March of the Great Pumpkins * Cool Ghouls * Jack-o'-Lantern Jamboree * Howlin' Halloween * House of Shadows * Black Cat Scherzo * Goblins and Ghosties * Ghosts on the Run! * March of the Goblins.